Happy Friday my friends! It has been a fun week around here. Mawmaw came to visit and help us celebrate the birthdays of my two youngest. Little Miss jumped off the diving board by herself for the first time. She also got a big girl bike for her birthday. She took off down the road and never looked back. I shot a couple of sessions at the beach, and also a wedding with my sweet friend, Sarah of Sarah Halstead Photography. We always have fun when we work together! This weekend brings more birthday festivities, and more beach sessions. Sounds like she had a lovely birthday!! Amazing week & Happy Birthday to your babies!! YAY for August birthdays. We have several. LOVE the expression in the top right pic of little miss - priceless! Love & hugs - hope you have a great weekend. Melissa, these are such beautiful moments! Your little girl is just adorable. These moments are priceless! 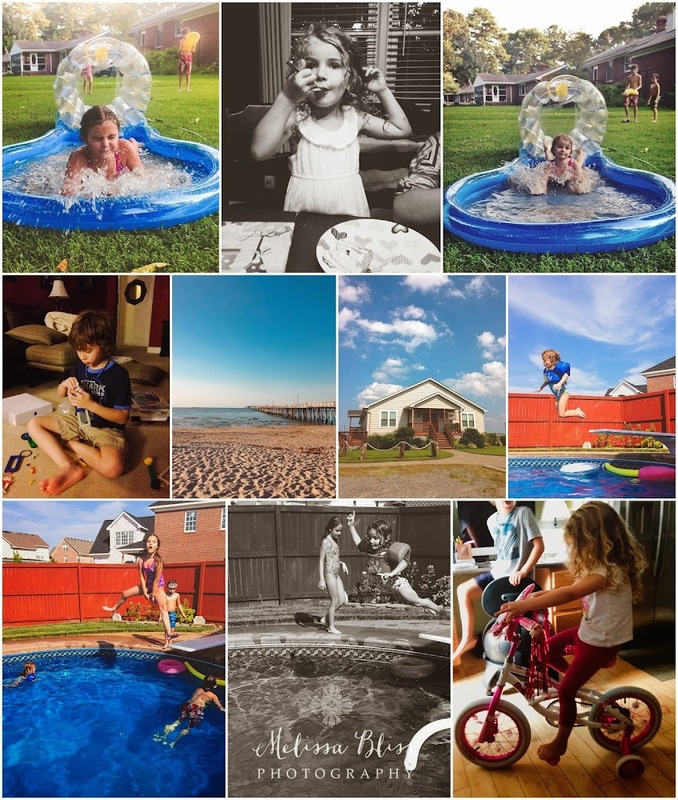 Lovely Summer images. Happy belated birthday to your little ones!